When your air conditioning in Carrollton fails, Berkeys will be there to restore the A/C in your home or office. Our Carrollton air conditioning repair technicians are available on short notice for any air conditioning problems you may have. Berkeys licensed and trained technicians work on all brands of air conditioning units and systems. If a new system is required, we will give you several options to choose from. 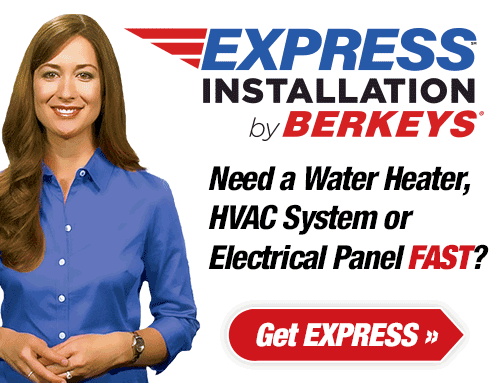 Berkeys has 24-hour A/C repair professionals to resolve your air conditioning problems, day or night. We make sure that when you need us most, we are available. Why try to sleep in the heat? Call Berkeys now to get your A/C repaired so you can sleep soundly tonight. 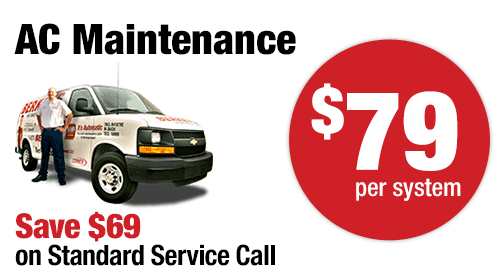 Extend the life of your air conditioning system with annual maintenance. 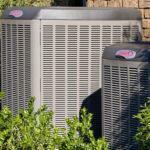 Maintaining your A/C system will prolong the life of your air conditioner. Being a BAM member has its perks. Call Berkeys to get more information. 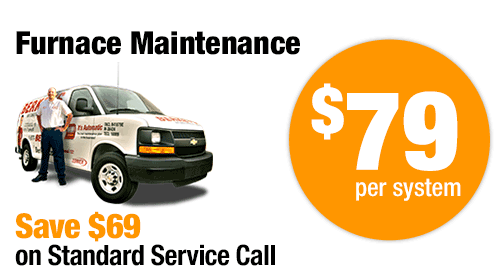 Need heating system installation, repair, or maintenance in Carrollton, TX? Our focus is always on customer service and getting the job right the first time. 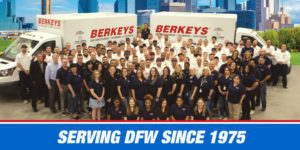 Berkeys’ Carrollton heater technicians offer heater repair on all makes and models of electric and gas heating systems. Getting your home’s heating system professionally serviced every year will keep it running smoothly and help keep heating costs under control. 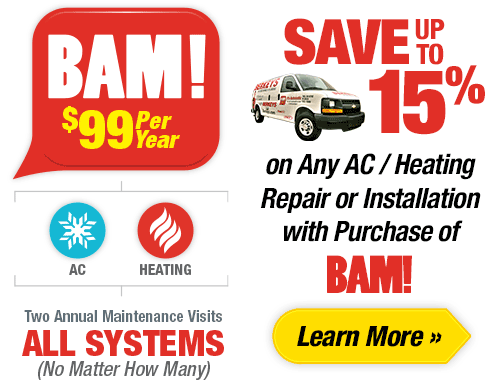 We offer a heating system tune-up, but you can get so much more if you choose the BAM Plan. Ask one of our Berkeys employees about this special offer today. The Texas weather can make your air conditioning system work very hard. Getting annual tune-ups can extend the life of your air conditioning system and make sure it doesn’t breakdown when you need it the most. Summer can be a very busy time for air conditioning companies. You don’t want to be waiting days before someone can come out to repair your AC system. You can prevent many major issues by getting an annual AC tune-up. Tune ups can help your system run near original factory specifications. Doing annual tune-ups can save you thousands of dollars on repairs. The increased efficiency and life span of your system will make you happy you got a tune-up. In Texas, your air conditioning system is going to be constantly working in the summer and many other times throughout the year. Unfortunately, whenever these units work hard they could stop running. You’re going to want to fix this issue as quickly as possible for the sake of you and your family’s comfort. But don’t call just anybody, make sure you call someone you know can fix the issue for you. AC units experience a wide range of different issues, you’ll need someone knowledgeable to help you. If your air conditioning unit needs repairs then you should get a certified and licensed technician to inspect the issue, find the solution and repair it. Call Berkeys to have the best HVAC technicians fix your issues as quickly and efficiently as possible. Whenever your AC system faces a problem you have a choice to either replace or repair it. Energy Star recommends upgrading your unit if it is 10 years or older. However, there are other things that could lead you to getting a replacement. If your unit has been breaking down frequently then you should get a licensed technician to see what your next steps should be. If your unit struggles to keep the home cool and it’s leading to high electric bills, then it could be time for a replacement. Any time you are facing expensive repairs then you should consider if replacing will be a better and cheaper option. Berkeys’ certified and licensed HVAC professionals will be happy to look at your unit to see if a repair or replacement would be more beneficial for your home. Many homeowners completely forget about their air ducts. Unfortunately this can lead them to become very dirty and significantly decrease the air quality of their home. Your air ducts can get filled with bacteria, fungi and mold. All of that debris stops the air from flowing freely in your ventilation system. That makes your ventilation system work harder, and if it is working harder then it will cost you more money every month. 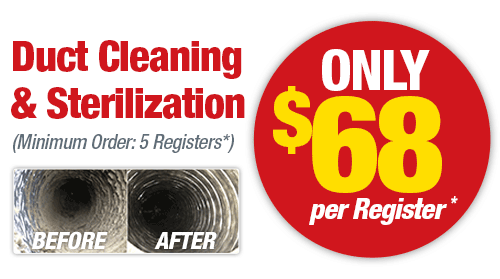 A thorough cleaning can lead to you saving a lot of money in the long-run. Cleaning the air ducts in your home can have many benefits for you and your family, such as savings on your monthly energy bill and improving your indoor air quality. You should have a licensed HVAC company do this process for you. It’s difficult for homeowners to decide whether they should clean or replace their air ducts. Many times a cleaning is sufficient, but sometimes you’ll need to get your air ducts replaced to fix all your issues. Your old air ducts could have permanent damage that hinders your ventilation system from working at full efficiency. If your air conditioning system is working harder than it needs to then it will lead to higher energy bills every month. Your air ducts should be replaced if they have been affected by mold. Sometimes you can remove mold from metal ducts, but plastic ducts need replacement to remove all mold. You should also replace your air ducts if your home is over 50 years old, or if they have any widespread damage that can’t be fixed. Installing air ducts is not a do-it-yourself type of job. Contact a reputable and licensed HVAC company to install them for you. 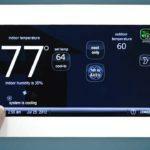 All homeowners want to lower their heating and cooling bill. 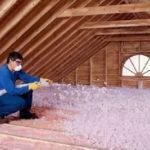 Many don’t realize that attic insulation can help them do that. Your home may be showing signs that your attic insulation needs to be replaced. These signs can be constantly changing temperatures in your home, high energy bills, wet insulation or indoor drafts. 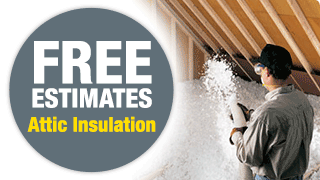 Getting your attic insulation replaced will ensure that your home is cooler in the summer and warmer in the winter. Homes with great attic insulation have air conditioners and furnaces that don’t need to work as hard, that increases the service of your home’s systems. Attic insulation is not really a do-it-yourself type of job. Contact a certified and licensed HVAC technician to help make your home comfortable and save you money. Many homeowners don’t realize just how important their thermostat can be. Thermostats have one of the biggest responsibilities in your home. A good thermostat should be able to keep you cool or warm and save you money. The best kind of thermostat to do this is a programmable thermostat. Programmable thermostats are recommended because they can reduce your energy costs with scheduling. You can set your schedule to raise the temperature when you leave and to lower it when you come home. A good thermostat should last you many years, but there comes a time when it is time to upgrade. This upgrade will increase your comfort and savings. When that time comes Berkeys will be glad to help you choose and install the thermostat that is right for your home. Lennox began in 1895 and has focused on delivering on the values of trust, innovation and quality since then. 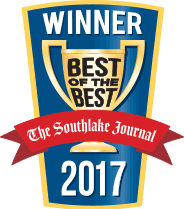 Lennox is based in Richardson, Texas. Their goal is to make people feel comfortable in their home. They strive to make products that are exceptionally quiet and energy efficient and succeed in doing so. Trane is one of the world’s top leaders in air conditioning systems, services and solutions. They have a wide range of energy-efficient HVAC systems. Trane is known for their great reputation of reliability, high quality and product innovation. For more than 130 years, American Standard has been developing heating and cooling products. This is a company you can depend on. Their products are made with precision so that their customers can have the absolute best air quality and comfort in their homes. Carrier is one of the world’s leaders in heating, air conditioning and refrigeration solutions. They have set the industry standard for environmental responsibility as they strive to preserve and protect their environment. Millions of people trust Carrier and their efficient home heating and cooling products. Bryant has been dedicated to customer satisfaction since 1904. 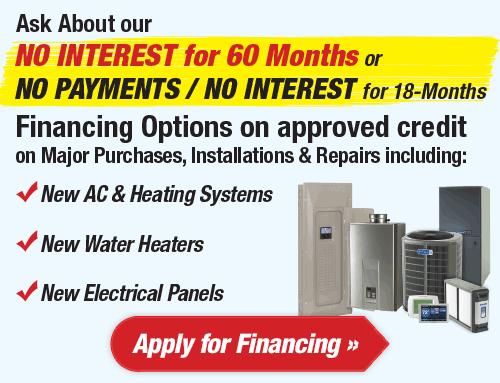 They have a broad range of products from furnaces to air conditioners and everything in between. Their standards of dependability and hardworking effort have not changed since their start. Rheem was founded in 1925. In its beginning the company produced a wide range of products. The company began offering HVAC equipment in the 1950s. Their products have been winning awards in this industry for over 65 years. Today they have some of the finest air conditioning products. They use some of the latest technology to make their products that give dependable and excellent comfort. Ruud is one of the largest manufacturers for total heating, cooling and water heating solutions. It’s their policy to create a culture of continual improvement that is dedicated to going above and beyond to meet customer expectations and requirements by providing excellent products. In 1954 Harold Goodman became an air conditioning contractor in Houston, Texas. In 1975 he created Goodman Manufacturing Company. Since then the company has been devoted to creating products that are reliable, long lasting, and are of great value. Goodman products have some of the lowest failures rates in the entire industry. Amana has been around since 1934. Their products are designed to be perfect for any home. They combine performance, durability and cooling comfort to give you the best experience possible. Amana Heating and Air Conditioning products are made in Tennessee and Texas. YORK’s pledge to create quality products started over 140 years ago. Since then, YORK has heated or cooled some of the world’s most famous buildings, such as the Empire State Building, the English Chunnel, U.S. Capitol Building and the Sydney Opera House. YORK is committed to bringing their customers the highest quality products. Coleman is known for their rugged dependability, outstanding efficiency and superior performance. Their products provide their customers with long-lasting comfort that they can always count on. They use very strict guidelines when making their products to ensure they operate at top efficiency. Their hard work has been recognized with awards by Consumers Digest, Energy Star and others. We hope that this list provides you with a little more insight on all the great brands that we service or sell. 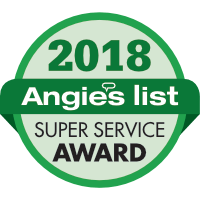 Even if you don’t see your air conditioning unit’s brand on this list, we may still service it. Berkeys is licensed to service almost all brands of equipment. Stop paying $79 per System for Tune-Ups. 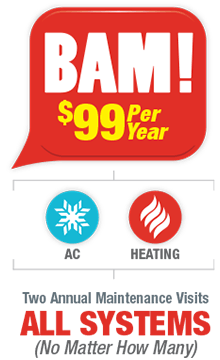 Get it all for only $99/year with BAM! BAM! is BERKEYS Bi-Annual Maintenance Plan for your HVAC Systems. 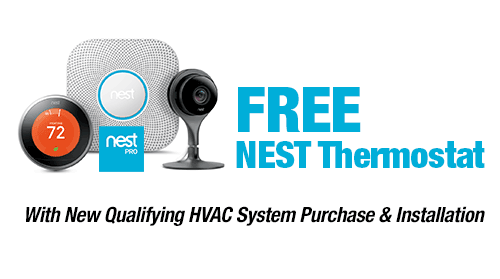 Includes one PRE-PAID* Spring/Summer and one PRE-PAID* Fall/Winter HVAC System Maintenance Visit by Certified Technicians.